I was sent the following Facebook post from a friend who is also working on the Missouri Cannabis Restoration Act. Since there may be some people who, like me, are not on Facebook, I decided to share this post so people can get an idea of what is going here in the Show Me state with three very different (and two incredibly insanely taxed) cannabis initiatives. While there are numerous particulars that actually demand another in depth article on this issue, the following will at least cover some of those issues and let people know a bit of what is actually going on with this issue. One thing that Attorney Groce points out here is of major importance…Why is Show Me Cannabis, the biggest cannabis group in the state, not putting up their own initiative, and not lending their support to the best initiative that actually frees people to access cannabis? MISSOURI: 3 Ballot initiatives, and opinions. By: Steven Groce, Attorney. The Show Me State, is not short on ideas for Cannabis reform for 2016.
were not enough signatures for the initiative to make the ballot. to go for Legalization in 2016.
problem getting the signatures to put actual “Legalization” on the ballot. hired, and therefore no shortage of signatures. for Legalization in 2016, apparently are not on the same page at all. rather than 2014, to try for Legalization again. should be what you really want and believe in. Noteworthy is Oregon. did not even wait until 2016; and because they went for it, they have it! So, what are the options for Missouri Voters? depends on the efforts of each organization. initiative to make the 2016 Ballot. opportunity to sign this Petition. Show-mecannabis thought that was necessary. decided to include that email below for all to read. Perhaps if Mr.
Medical, is the only way to go. Thanks for your email regarding New Approach Missouri. I support all efforts for legalization. legalization effort that we had hoped for in 2012! willing to support the Missouri Cannabis Restoration Act. not on the same path, and not seeking the same objectives. career and a variety of professional licenses. our Missouri government, that opposes Legalization? I think not. fact, quite the opposite is true. society, that we somehow have to have every aspect of our lives regulated. I suggest to everyone, that thinking needs to be discarded. wrongful prohibition, that should have never happened. and: LET US PROTECT ALL OF OUR RIGHTS! Hats off to the author of the following piece. She’s been around the issue for a very long time and is familiar with the political terrain. This issue brings up an awful lot of philosophical, and flatly scientific questions. On the philosophical side, shouldn’t we, as human beings created in the image of Yah, have the right to care for and to treat ourselves and our families as we see fit? In the intentional dumbing-down of our society, did we lose our capacity to make decisions? On the more scientific side, how do we know that taking an isolate of a plant is going to be as positive for health as taking the entire plant with all of it’s constituents? Do we actually know how all these various components work together within all the various components of the human being? Or did we just discover an aspect and then presume that we have full understanding? We only discovered DNA in 1952 and the endocannabinoid system in the early 1990’s and how do we know that there isn’t another system within that which we haven’t discovered yet? For those hoping that Big Pharma could still be blocked from the medical cannabis scene there is bad news: the deal is done. Look for the first naturally-derived, Big Pharma-produced cannabis product to be on the market by the first half of 2016, perhaps even sooner. Among the most significant occurred on June 24, 2015. Before a packed hearing room, the U.S. Senate Caucus on International Narcotics Control, established in 1985 to “expand international cooperation against drug abuse and narcotics trafficking” took on the decidedly domestic issue of what to do about medical cannabis. The meeting was chaired by two unlikely medical cannabis proponents, Senators Charles Grassley (R-Iowa) and Dianne Feinstein (D-CA). For long-time medical cannabis activists it was a surreal moment to watch these two veteran senators (with a cumulative total of 57 years in the Senate) bob-and-weave their way through unfamiliar territory. Normally these drug warriors would be proposing tougher penalties and increased enforcement. But on June 24th, and in a subsequent editorial in Time Magazine, Grassley and Feinstein supported “expanding compassionate access programs where possible, to benefit as many children as possible. The hearings were eerily familiar for this medical cannabis pioneer. They immediately hearkened memories of another time when pressure on federal officials forced a “readjustment” of policy. It was 1980 and public interest in medical cannabis was being fueled by heart-wrenching stories from cancer patients undergoing chemotherapy. Their compelling stories of marijuana’s effectiveness in reducing or eliminating chemo-induced nausea and vomiting had led to the passage of state laws that recognized marijuana’s medical value and sought to establish state-wide programs of research using federal supplies of marijuana. There was a big problem, however. 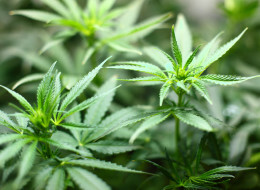 The federal government, which regularly grew a research supply of marijuana on a small plot at the University of Mississippi, didn’t have enough marijuana to supply the demand from these states. In desperation federal officials turned to the synthetic version of the psychoactive ingredient in cannabis, delta-9 tetrahydrocannabinol (THC). The drug was developed in the late 1960s to facilitate animal research. It was not originally intended for human use although researchers did begin using it in humans in the 1970s and in 1980 it was all the government had to stem the demand for medical access to cannabis. In May 1980, Rep. Stephen L. Neal (D-NC), a member of the Select Committee on Narcotics Abuse and Control, convened a Task Force on Therapeutic Uses of Marihuana and Schedule I Drugs. The Task Force hearings lasted all day but it was the afternoon session that would bring the bombshell when representatives from the National Cancer Institute (NCI) announced that delta-9 THC would be released through the NCI’s Group C Treatment Program. It was an unparalleled moment. The federal government was agreeing to produce and distribute, via the NCI, the most psychoactive compound in cannabis. With the tacit blessing of the Congressional Task Force on Therapeutic Uses of Marihuana and Schedule I Drugs, delta-9 THC would be released to hundreds of NCI pharmacies throughout the country. Oncologists would be notified, patients would have access, and the public pressure to “do something” about medical marijuana would be assuaged. The government would herald this action as the release of “the pot pill” and the American public, not yet sophisticated with respect to cannabinoid knowledge, would breathe a sigh of relief that relatives would no longer be forced to the black market for their chemotherapy anti-nausea drug. The Neal hearings paved the way for Marinol and, similarly, the Grassley/Feinstein hearings will pave the way for Epidiolex. The scenarios are slightly different, of course. The involvement of GW Pharmaceuticals from the very beginning has been far more pleasing to the FDA and other federal agencies. There is no “Group C” for pediatric epilepsy patients but it is reported that more than 400 patients are already receiving the drug via expanded access INDs. The question that haunts this senior observer of the medical cannabis movement is: what will the federal government do once Epidiolex is on the market? Will there be a “crackdown” on the growing and enthusiastic CBD market that is flourishing online? (“Legal” CBD is produced from hemp and contains less the 0.03% delta-9 THC.) As Epidiolex is scheduled in the Controlled Substances Act will authorities tighten the control of natural CBD? Consider that Marinol, a synthetic version of the most psychoactive ingredient in cannabis, is Schedule III while the plant itself is Schedule I. Such inconsistency has, of course, been codified and is rather benignly referred to as “differential” scheduling. But, like so many things in the nation’s drug policy, it strikes many as a little crazy. The craziness of the federal policy with respect to marijuana should not be underestimated, nor should it be assumed that the growing tide of legal cannabis states will automatically signal a reform in federal law. For many people, cannabis or cannabis oil are the only things that can really give them relief, or a possible cure, from debilitating or fatal diseases. At this point, I will state without hesitation, if a family member were diagnosed with cancer, we would move to Colorado and work with people there that know how to set up protocols to treat cancer. There are entirely too many positives for health benefits and the only thing that is threatened by marijuana is the overly bloated and toxic pharmaceutical industry and the revenue generation/prison industry who are profiting because of it being illegal. It just galls me personally that there is help for so many that is natural and it is immoral to prevent people who would benefit from using this help. Click on this link for the House Committee on Emerging Issues. It is HB 800 and already had a public hearing, but it has not yet been voted on in committee. All the members of the committee are in the link, and you could send them all an email with your thoughts on the bill. Additionally, you can contact your representative by finding them in this link. You must have your zip code plus four to find them if you don’t already know who they are. Below is an article with the link in the title regarding the bill and the hearing. marijuana for cancer, HIV, post-traumatic stress disorder and other medical conditions. could be a model for the rest of the country. could get without special permission to 2.5 ounces every two weeks. suffered extreme pain in the final months of his life. to do was die,” Hinson said. their dignity by using marijuana recommended by a doctor. he thought patients should be allowed to grow the plants at home. He shared stories of veterans who were using marijuana for medical purposes. After Rep.
to only a few each day. Hicks said he supports the bill and wants to make sure it can pass. Missouri by filing lawsuits to expand it. of cannabidiol, or CBD, which some have used to control epilepsy in young children. Medical marijuana bill is HB 800. It’s probably very important that I be extremely clear about my position on this. I do NOT smoke, or grow, or condone marijuana use. It is NEVER allowed on my property. While I think it is stupid that it is illegal, I in no way am willing to have it on myself or my property, nor would I use it or condone it’s use while it remains illegal. It’s simply not at all worth the possible consequences. So if I am accused of it, or arrested for it, I assure you it is a complete and total fraud. Taking into account the amount of money pharmaceutical companies make on their FDA approved drugs, and the corporate controls present with our elected officials, it’s very likely that the Missouri legislature will wait until Monsanto has an approved GMO Cannabis strain to destroy the real thing before they will actually come to terms with the fact that marijuana is quite helpful for many maladies and might actually benefit the health of people and the economy were it allowed to be used by adults without criminal penalties as a possibility. It would threaten the legalized pharmaceutical cartel and the confiscation of property cartels as well. Not to mention the prison cartel and probation funding mechanisms. I have to say that it is encouraging to see the subject come up at the State level. Just the number of people in jail or prison for marijuana costs the citizens and the families of those people way more than it’s worth. If you commit a crime, you’ve hurt someone. If you ingest marijuana, you likely help yourself if you do it in moderation. Moderation is likely the critical issue here. It’s ridiculous that so much revenue and energy is spent combating a natural substance that doesn’t cause people to become violent or dangerous. I have never heard of anyone going on a rage and beating their wife or kid because they smoked marijuana. Have you? KANSAS CITY, Mo. — Missouri Governor Jay Nixon told a national audience that the legislature would consider medical marijuana, but his words were met with mixed reaction here in Kansas City. On Sunday morning’s CNN show State of the Union, Nixon said the bridge isn’t yet built for decriminalization, but lawmakers are open to medical marijuana. While she’s pleased to see Nixon talking about medical marijuana, she’d also like to see support of bills that would decriminalize pot. Missouri has some of the toughest marijuana laws in the country, getting caught with a single gram could mean a year in jail. “It’s a shame our politicians don’t have courage to stand forward on this issue and say this policy isn’t working, this policy is destructive to people in our communities,” she said. Missouri lawmakers have introduced three bills this year: one for a medical marijuana pilot program, one legalizing recreational pot, and one that reduces penalties for possession. Jackson County Legislator Bob Spence isn’t a fan of laws that decriminalize marijuana use. “I think most, not all, but most who do hard drugs started with marijuana,” he said. Spence has tried twice now to introduce a resolution encouraging lawmakers to “just say no” to any bill legalizing marijuana, even for medicinal use. “Then every ailment known to mankind can be helped with marijuana, and it’s like legalizing it,” he said. But his resolution ended up getting held over into committee. He says that basically means it’s killed. Missouri isn’t the only state tackling this issue this year. Kansas is also considering a bill legalizing medical marijuana.